After teaser photos only a couple of weeks ago, Kia has revealed the Stonic, its rival to the Nissan Juke, Vauxhall Mokka X and forthcoming Seat Arona, which is being unveiled next week. The car’s looks are decidedly ‘Kia’, thanks to several signature design elements, such as the ‘tiger-nose’ grille. The car fits in well with Kia’s other SUVs, the larger Sorento and Sportage. Buyers will be able to personalise their Stonic to their liking, and the car will be available with up to 20 two-tone colour combinations, with five colours for the ‘Targa-style’ roof. Inside, buyers have more scope to personalise their car, with a range of colour packs to choose from. 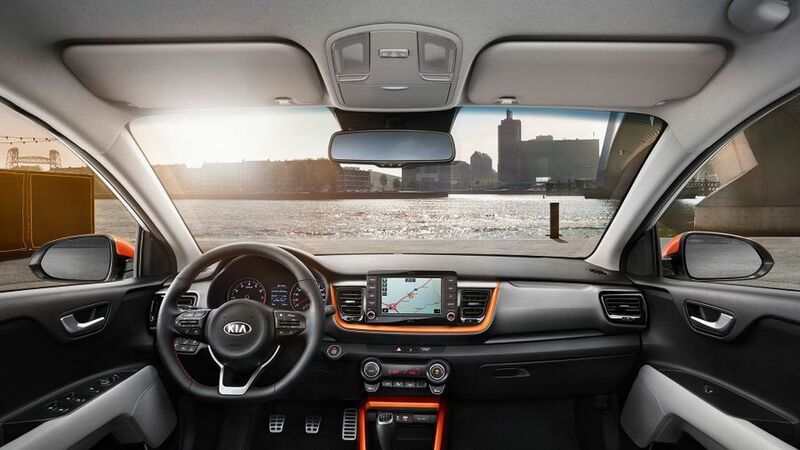 There’s also plenty of infotainment on offer, with Apple CarPlay and Android Auto connectivity as standard – accessed through what Kia calls a ‘floating’ human-machine-interface – as well as heated front seats, cruise control and keyless entry on the options list. Kia says that, despite the car’s compact size, the Stonic has plenty of shoulder-, leg- and head-room for all passengers; and, there’s a 352-litre boot, with a two-step boot floor. 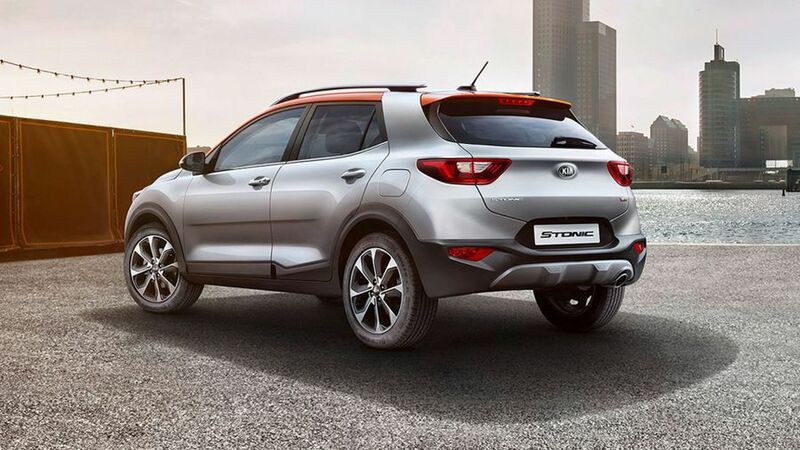 The Stonic will be available with a range of turbocharged petrol and diesel engines, all paired with a manual gearbox. The petrol engine range starts with a 1.0-litre unit with 118bhp, and also includes 1.25- and 1.4-litre engines, while the diesel engine is a 1.6-litre unit, which will be the most economical choice. Among the advanced driver-assistance systems available on the Stonic include Autonomous Emergency Braking with Pedestrian Recognition, Forward Collision Alert, Blind Spot Detection with Rear Cross Traffic Alert, High Beam Assist, Driver Attention Warning and a Lane Departure Warning system. 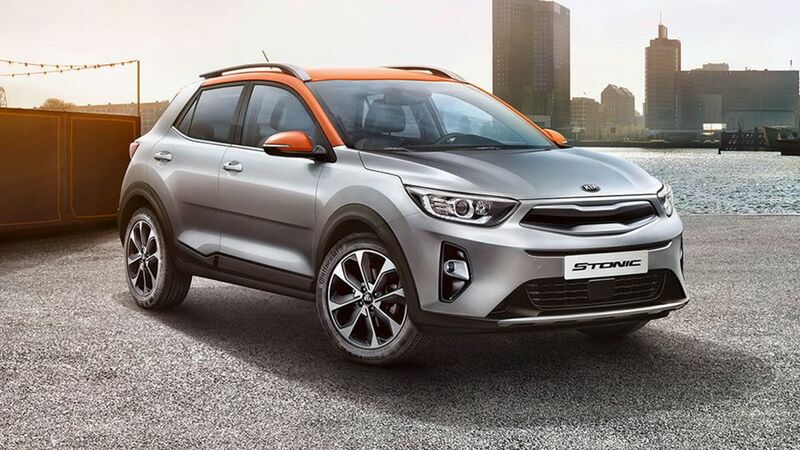 The Stonic will go on sale in the UK in the third quarter of 2017; and, as with any Kia, it will be covered by the company’s seven-year/100,000 mile warranty. There’s no word on pricing yet, but we expect it to cost from around £14,000. Interested in buying a Kia ?